In order to gain some insight into the world of headphones, I tracked down one of the most popular consumer headphone companies in the US: SOL REPUBLIC. Having been started by Kevin Lee, Seth Combs and Scott Hix, the company is growing rapidly, and has seen support from the the likes of DJs such as Steve Aoki, Rusko and Deadmau5. I recently interviewed Scott Hix, to learn more about their goals, brand, product manufacture and more. Hi Scott. How did Kevin, Seth and yourself end up forming this company, and what was the driving factor? We were very close friends that grew up in the consumer electronics space, and Kevin and Seth were the ones who developed the concept to create a company. They didn’t know what they wanted to call it, or what the product would look like, but they knew it would be based on music lifestyle. Kevin was working at Monster Cable, and he was the catalyst and creator of the Beats by Dre phenomenon. It was actually his brainchild; he connected the dots of Monster as the tech company with Jimmy Iovine and Interscope to help create that partnership. Along that route, Kevin contacted me. We had been friends in the industry for about a year, and he would bounce ideas off me as a friend. He brought Seth in when Monster was looking for someone who really understood digital media and social marketing. Seth was quite the marketing savant from the Bay area, and grew up understanding how to market to this generation of consumers. So he helped Kevin to launch the Beats brand within Monster, as the brand strategist. Moving forward from that to 2009, they wanted to create a company on their own, and felt there was a great opportunity, given their knowledge of the music and audio space. So the two of them contacted me, and we began to have discussions about the market and it’s growth. That became the origin of SOL REPUBLIC. Has your role at the company changed in any way since its inception? Well, I’m the President, and so I run the company on a day-to-day basis. 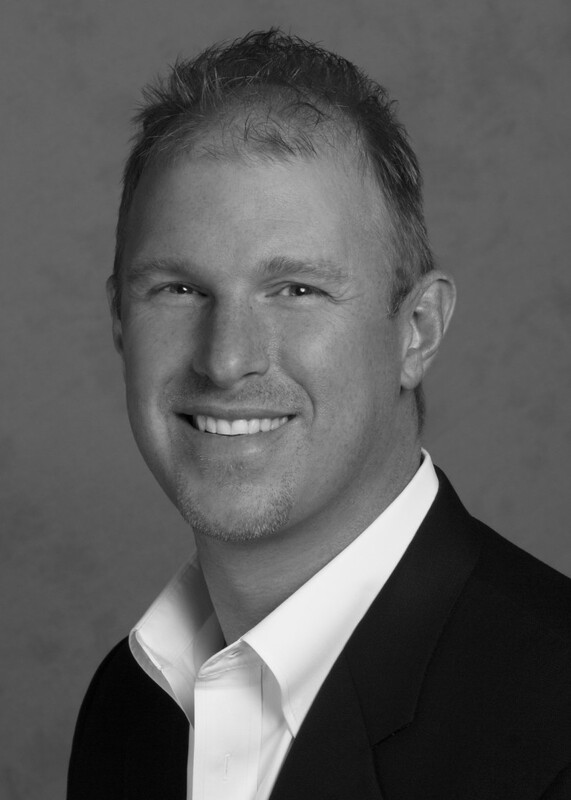 Kevin is the audio and product expert; he has a good sense of strategy and a very good flavor for marketing. Seth is the Chief Marketing Officer (CMO). The reason that they contacted me was that I had spent most of my career in large public companies, building hundred-million-dollar businesses on a global scale. So I was brought in to help fund the company and basically drive their strategy into fruition. Like all start-ups, we started out doing everything ourselves. Sure, we had all “C” titles, like CMO, CEO and so on, but we were also the janitors, the clerks, the product design team, the sales team, etc. So three years ago, we were doing all the jobs in the company, and then eventually the three of us became ten of us, then ten became thirty, and now we’re over one hundred people. As you mentioned, you had significant business experience before starting up SOL REPUBLIC, such as being VP of Planar. Where does your current job rank in your list of past work? Have you been able to apply the skills from previous jobs at SOL REPUBLIC? Absolutely. I don’t know if I would rank them. Like all things, life’s kind of a bunch of building blocks. From the first sales job I ever had at InFocus, to my highest paid executive role, everything has contributed to what we’re doing SOL REPUBLIC. Everything builds off of experiences, both the things you’ve done right, and more often the things you’ve done wrong. You learn from those. Can you tell me about your background? I went to Portland State, and started working in the tech industry right after college, at a startup called Infocus, which was a pioneer in the display industry. We helped to create front-projection technology that most kids are using in classrooms and boardrooms to this day. I was really blessed to be part of a fast-growing company that went from $0 to almost $1 billion dollars in eight years. If you cut me open, I bleed sales and marketing, so about four years into my career, in my mid-20’s, our CEO made the mistake of asking me what I wanted be when I grow up, and I said that I wanted his job. He was a pretty good guy from IBM, named John Archer, and he quickly began to stick me in jobs that were not the most glamorous, but were required if I was to become a CEO. So I began to run product and business development strategies, and launched consumer initiatives for the company, which forced me learn to operation, engineering and finance. As I got more mature in my career, I now run companies. I’m obviously leveraging all of that diversity that I experienced in my past. Did the task of running million dollar companies becomes too much of a challenge at any point? The opposite; at some point in time it becomes commonplace, and you inevitably gain the experience to do things like this, so it’s not intimidating anymore. When SOL REPUBLIC came along, there was nothing we had to do that got me worried, from funding the company to setting up the legal structure, or developing a sales channel, or creating a product road map; I’d done all of that before. However, whether or not you’ll be successful, is dependent on a lot of external factors. But no, I’ve never woken up worried about whether we could pull it off. We had a very well-vetted plan, with a high degree of confidence that if we just put our hearts and the right amount of time into this company, it would take off. But what’s the biggest challenge for a company like yours in an overly saturated headphone market, where there are a lot of products to compete with? The biggest challenge is that this is a very ubiquitous technology, meaning that headphones aren’t necessarily a technical marvel. Any company that wants can go to China and find a headphone manufacturer to make a product in six months. But SOL REPUBLIC is much more than a headphone company. We’re more rooted in music lifestyle than anything else. Yes, we do happen to make headphones, but at the end of the day, it’s about creating a brand that consumers can relate to. When we design the product and market the brand, it’s with a 15-28 year old in mind. This is a generation that are social through their technological devices. It’s all about Facebook, Twitter and Instagram for them. They don’t really watch TV and get excited about the commercials. They don’t drive down the freeway and see a billboard that influences them. They don’t go to a sports venue and care about who paid the most money to get their name inside the arena. They know that if something is trending or cool, they’re going to hear about it through their friends and peer group, and that gives it instant validation. So authenticity is more critical to this new demographics of consumers than any amount of money I would spend, like most companies try to. So for us, yes, it’s a very saturated market, but as in any market, if you can differentiate yourself with your product, your brand strategy and connect to the consumer, you have a really good chance of succeeding. That’s what we did early on. And what kind of relationship do you have between the company and your SOLdier fans? When you go to our website or Facebook page, you’ll see that we have over 25,000 SOLdiers , which have been developed in less than ten months. Carla is a great example. She lives in Canada, and had never had a pair of our headphones on her head, since we weren’t in Canada yet. But she shows up on our website, and then our Facebook page, to ask what number she was. She happened to be the seventh SOLdier that was brought into our family. She showed up a week later, with a SOL REPUBLIC tattoo, our logo, on her back, which freaked me out as a father, since I have three daughters. Here’s a 20-year old kid up in Canada who’s inked our brand on her back, and we’re only nine months in the market. What happens if something goes wrong?! I met Carla about five months later. She had come to San Francisco on her own dime to spend time with our team, and I had to ask her the question, “Why did you do that? Even though I’m thrilled that you have our logo on your back, and it’s great PR for us, but why put it on you permanently? ”. And I’ll never forget driving with her in the car, and she said “Growing up where I did, life wasn’t always easy as young lady, and going through school was a tough time. Music was always my escape. As I began to discover your brand on Facebook, and got to know the other SOLdiers and your team, I felt for the first time that a brand had my back. So that’s why I did it ”. That says it all right? So when you ask, “How do we differentiate?” We make sure that we’re a brand that those SOLdiers and fans feel have their back. Other companies, will come out next week with a new headphone, going “Mine’s got this driver, etc ”. That’s the old-school mentality of consumer electronics. We’re different. We will always deliver on the promise of a differentiated product, but it’s a lot more than that. We want to give people an emotional tie as a lifestyle brand to us, as a reason to be part of SOL REPUBLIC beyond just the product. Let’s talk a bit about how you guys have done financially. SOL REPUBLIC experienced tremendous growth in 2012 with a $22 million investment collection in July, correct? Yeah, that was our Series B round. We’ve had two investment rounds since we launched the company. During our Series A round about two and a half years ago, we raised $5 million to launch the company, and after a very successful year, we raised $22 million in our Series B round. Regarding how things have gone this year, it’s been very exciting. A year ago, we had eleven products on four platforms, all based in the US. We had about 1200 retailers, with Best Buy and Apple as our US retailers. A year later, we’re in 56+ countries, with 15,000 thousand retailers selling our products, and the company has almost quintupled in size. From all measurements and metrics, it’s been a really good year. We launched a new series of products with our over-ear Master Tracks and a new series of in-ear solutions as well, and we’ve expanded our on-ear to model include collaborations with tokidoki, Steve Aoki and deadmau5 to our anthem series. So it’s been good all-around. Let’s talk about your Saviors of Sound endorsements. Did you target any artists or athletes in particular, or did they reach out to you personally? A little bit of both. This is where the brilliance of Kevin and Seth and their backgrounds came in. Remember, we’re taking about the two people who created the Beats By Dre phenomenon. The analogy I use when talking about the Beats By Dre model is the “Air Jordan Effect”. Back when I played basketball, we all wore $30 – $50 sneakers at best. Then in the 80’s, this guy called Michael Jordan shows up, and everybody wanted to be like Mike, and Nike started to produce the Air Jordans. You could get them for $150, and the emotional theory around the sneakers was that you could probably jump a little higher, or walk on air like Michael. But frankly, it was another pair of sneakers. It might have been no better than the $50 pair, but it had an aspiration aura around it that you wanted to be a part of, even though not many kids could afford it. That’s what Seth and Kevin were able to achieve with “Beats By Dre”, and they did it by using that same effect. Jimmy Iovine and Monster brought together everything from Dre to The Black Eyed Peas, to Lady Gaga. There was also the time Kevin put a pair of headphones on Lebron James. The world of athletics was changed overnight because of that. Lebron took the headphones with him to the Cavaliers and then to the Olympics, and then Kobe Bryant wore a pair, and Beats exploded from there. That approach has been very effective. It’s more of a top-down, high-awareness approach. So when we started SOL REPUBLIC, we said “In order to be authentic, we can’t copy somebody ”. So we thought about what kind of brand we wanted to create. Beats is kind of a loud and proud brand out there. We wanted to be a little more grassroots and subtle in how we built things up. So Seth and Kevin came up with this concept of creating a “Saviors of Sound” strategy. What we would look for is, frankly, more of the local artists with a higher degree of potency, as opposed to high-awareness. Can you give an example of what you mean? Sure. If we grab 500 people off the street, of different ages, and ask them if they know about The Black Eyed Peas, most of them would probably say “yes”. But if I then said, “The Peas are going to be in downtown Portland tonight, and they want you to come down there, take off your clothes and run around the square.”, probably not a lot of people would do that. Even though they know The Black Eyed Peas, they would think it was a publicity stunt for a bunch of pop stars. But let’s take someone else. If we asked the same 500 people “Do you know Steve Aoki? ”, more than half of them would say “no”, since his awareness isn’t that high. 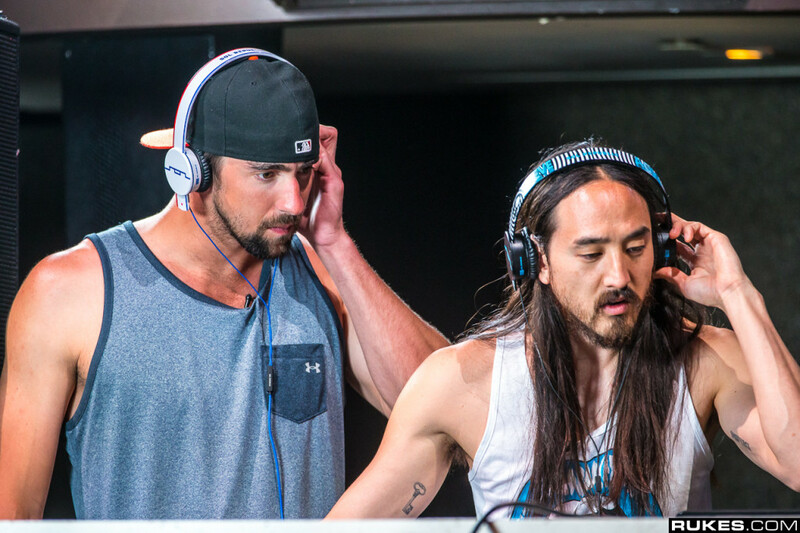 But if you took those fans who did know Steve Aoki, and said “Steve’s going to be in downtown Portland tonight, and he’s wants to throw cake all over your face, and you’ll get to meet him after ”, every one of those people would want to go. So we decided to create the Saviors of Sound program, to work with grass-root development of artists. Kevin was a genius about it. Three years ago, he said “Guys. We need to focus more on the DJs. It’ll fit perfectly into this approach “. So the goal was to start with the DJ community, but then to expand out to musicians, artists and athletes. And how did you go about selecting the people to work with? We weren’t going to just write big checks to people. A lot of other companies do that; they get such-and-such artist and write them a cheque to convince them to wear their headphones and tell kids that it’s cool. We did it a bit differently. We met the artist, asked them to come to our office, and would never write a cheque to them. First they had to like what the brand was about and understand our philosophy. Then we got them to together with our marketing team in order to develop their brand around the product on social media. That’s what our Saviors of Sound program became. In our first year we grew to 50 people, and now it’s over 250 Saviors of Sound and growing. The fun part is that people are now coming at us aggressively to be part of the family. I suspect we’ll have over 500 Saviors of Sound by the end of the year. It’s a great program, and Michael Phelps is a great example of that. He called us, we didn’t call him. He makes millions of dollars every year in endorsements yet we didn’t write a check to him. He really connected with the brand before we even met with him. He checked out our Facebook page and liked what it stood for, and so we partnered with him. Your flagship product is the on-ear Tracks model, but you also have the Master Tracks over-ear model. Can you talk about the progression from on-ear to over-ear models? Since we’d seen the growth of Beats By Dre four years ago, we were pretty clear about where the market was at. In order to do primary research, we spent a lot of time with our target demographics for about six months, and their main comment to us was that they loved headphones, so if we could fix the main problems they had, they would buy them from us. Firstly, they were way too expensive. Apart from the cheaper brands like Skullcandy, most headphones would cost $300 – $600, and our demographic said that wasn’t accessible for most of them. So they asked for us to design a headphone for under $100; that was the magic number. So that started to point towards an on-ear model. Secondly, they said that their headphones broke a lot. Most headphones with hard plastic and hinge points break easily, so they wanted us to make something that they could bend and twist without snapping. Thirdly, they asked if we could make it possible for them to customize the headphone themselves; change colors and that kind of thing. All of that led us down the path to what became Tracks. 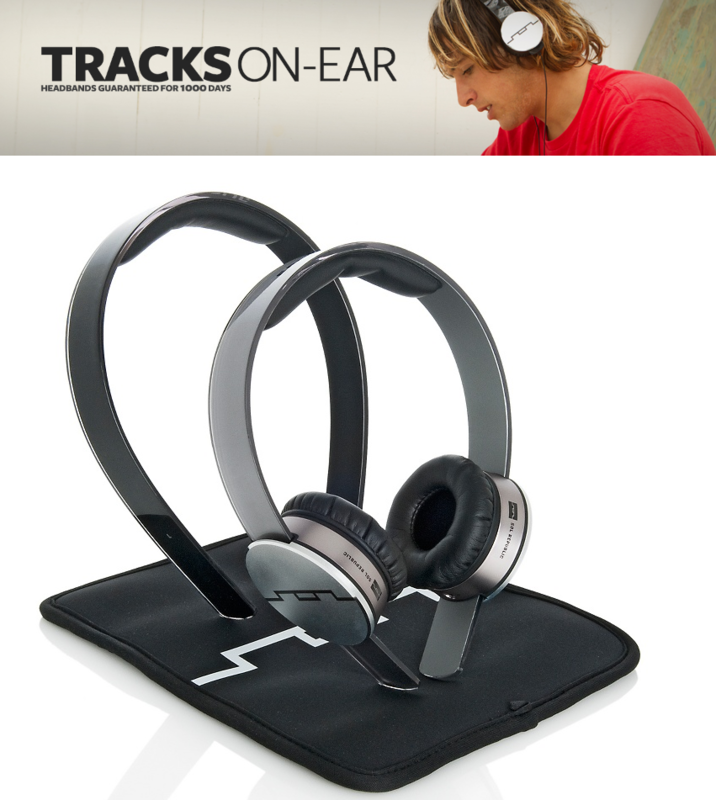 When we launched Tracks, we knew that most other brands were racing to put out over-ear models. So we said, “Let’s establish our brand at a more accessible price point, and create an on-ear model for less than $100 ”. 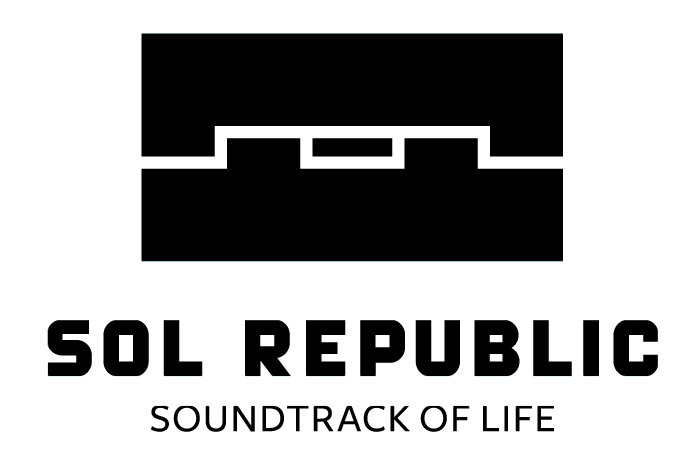 We also realized that the average user has more than three headphones, and one of them will likely be an in-ear pair. So we did a lot of work on two of our new in-ears which we wanted to bring into the market at the same time as our “Tracks”, which were the Amps and Amps HD. So as a brand, we wanted to start at a place where everyone else was not, and eventually migrate up. So now we have a family of products that consist of in-ear, on-ear, and over-ear, and you’ll see us expand past that in the next twelve months. 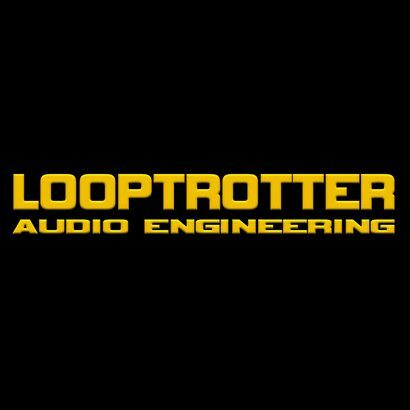 Producing an over-ear model is more expensive the on-ears, correct? Yes, that’s why you see the price differences. We’re using different-sized drivers and materials, so there’s always going to be a price premium on the over-ear. The exciting part is what we were able to do with the on-ear at $99 when the cheapest ones out there were typically $200. We’ve also released our over-ear at $199, and done a better job than most of the other brands who price their over-ears at $500. Our whole idea was to make the price affordable. 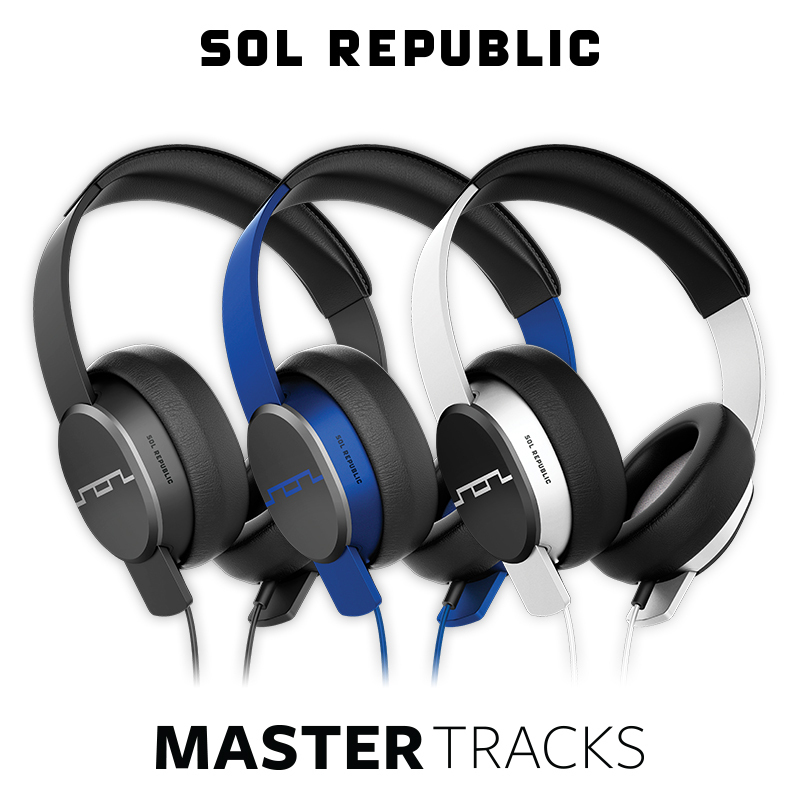 If we put the price of SOL REPUBLIC’s “Master Tracks” aside, and compared them to any other popular over-ear brand of headphones, say “Beats By Dre”, do you think they measure up quality-wise? Yes and no. First of all, I’m a big fan of Beats, and they do a lot of good things with their product. But it depends on what sort of over-ear you’re looking for. As an example, ours has noise isolation, but doesn’t have noise cancellation. But from an acoustic, comfort and value standpoint, these are the best over-ears out there. At $199, you can’t get any other headphones like this. Now, if “Beats” sold headphones at $149, which I doubt they would since they wouldn’t make any money, could they be competitive? Sure. But would you be able to remove the drivers? Would they be indestructible? It’s kind of like asking if someone would prefer a Mercedes to a BMW. In that case, it becomes all about what brand you prefer. My point is, they’re both good headphones. Do you have any predictions for how the headphone market will grow or develop? We predicted about three years ago that a lot of companies would try to get into this market, since the barriers of entry are pretty low. However, we also predicted that a lot of them would realize how difficult it was after a year or so, because they don’t have enough money and there isn’t enough room for all of them. So a couple would be left standing, and fortunately it looks like we’ll be one of those. So even though the headphones market continues to grow, most companies that are here today won’t be able to stick around in the next three to five years. By the way, most of them tried the Beats model; “Headphones by so-and-so”, and I think they’re realizing that trying to be “me too” in this space very difficult because companies ultimately need to grow and be profitable in order to sustain. There’s a lot of brands out there that I know are struggling to get their products to sell, and as cool as it might be to have their products associated with an artist or an athlete, it’s not the magic formula. 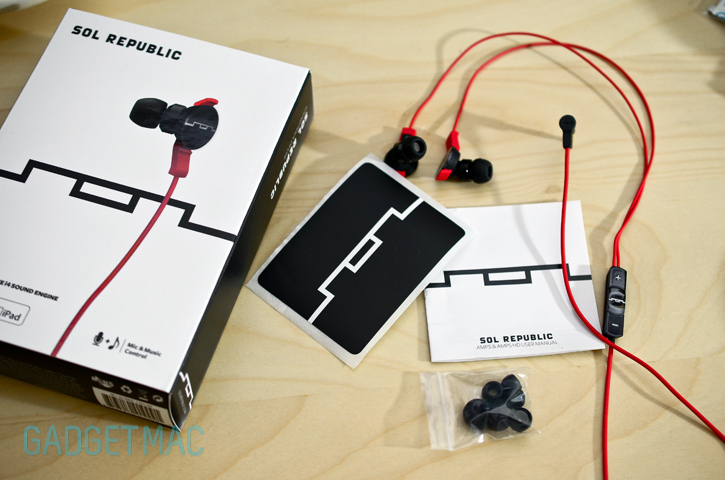 What’s the next step for SOL REPUBLIC ?